This statistic shows a list of the top election campaign donors supporting Mitt Romney for the 2012 election. 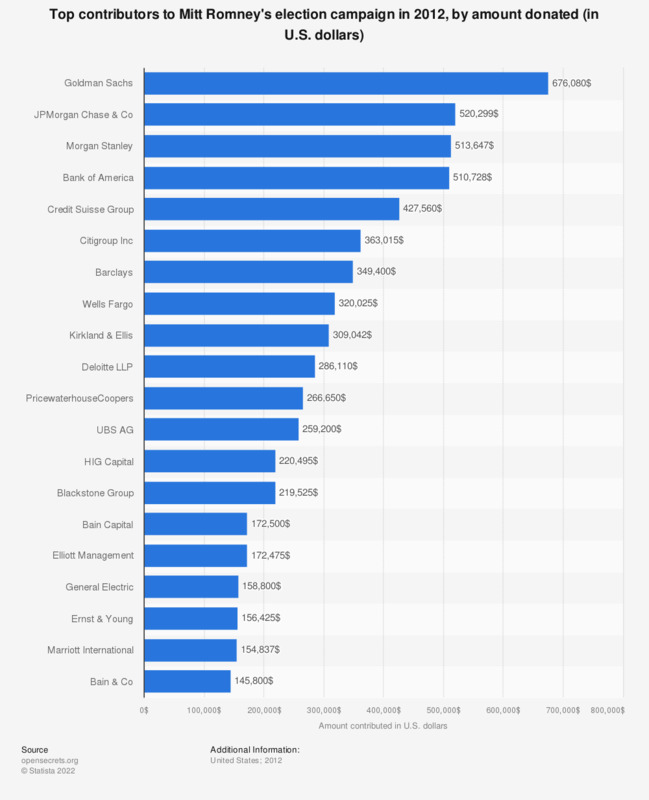 Goldman Sachs topped the list as the most significant donor to the Romney campagin with a contribution of 676,080 U.S. dollars. JPMorgan Chase & Co came on second place with donations of 520,299 U.S. dollars.